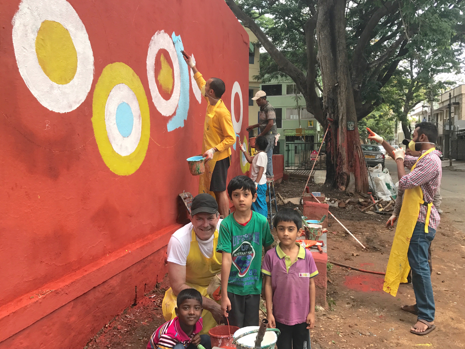 Course mentor Kenton Spading reflects on the experiences of the 2017 India Global Seminar. 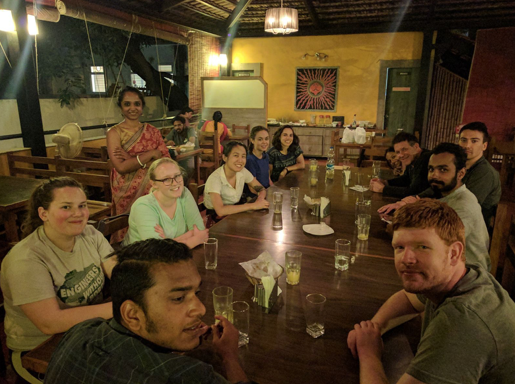 The Acara students arrived in the City of Bangalore in southern India on May 16, 2017 for three weeks of a purposeful, insightful and astounding immersion into India’s society and culture. They were blessed with the beauty of India and its incredible diversity found no where else on this planet. India has more than two thousand (2,000) ethnic groups! Every major religion is represented as well as the world’s four major families of languages. There are at least 415 living languages in India. Some languages of the Himalayan Mountain region are still unclassified. While some countries advocate for “One Official Language” India supports 23 constitutionally recognized official languages. The complexity canyon deepens further given the great variation that occurs across the population on social parameters such as, caste, income, access to clean water/health care and education. It takes the entire continent of Africa to exceed the nation of India’s linguistic, genetic and cultural diversity. In 2016 the population was estimated to be 1.326 billion of the 7.3 billion people in the world (China has 1.382 billion). Half of all Indians are under 25. It is projected to be the world's most populous country by 2022 surpassing China. By 2050 its population is projected to reach 1.7 billion becoming the largest political entity in the world’s history. It is one-third the land size of the United States but the U.S. has only 324 million people. By 2020 Bangalore is projected to become the single largest IT cluster on the planet—overtaking the United State’s Silicon Valley. During the pre-departure meetings in Minnesota the instructors did their best to impart the magnitude of this social, economic and diverse entanglement onto the students. But they knew that mere words and pictures cannot do the country of lotuses, jasmine, peacocks, tigers, elephants and 33 Hindu Gods justice. 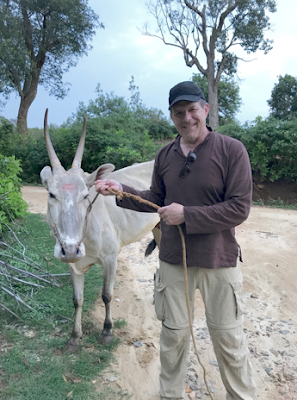 The blog entries illustrate that after the students experienced India up close and personal (yes, we saw elephants), they now view the world thru a different lens. There is the world and then there is India.